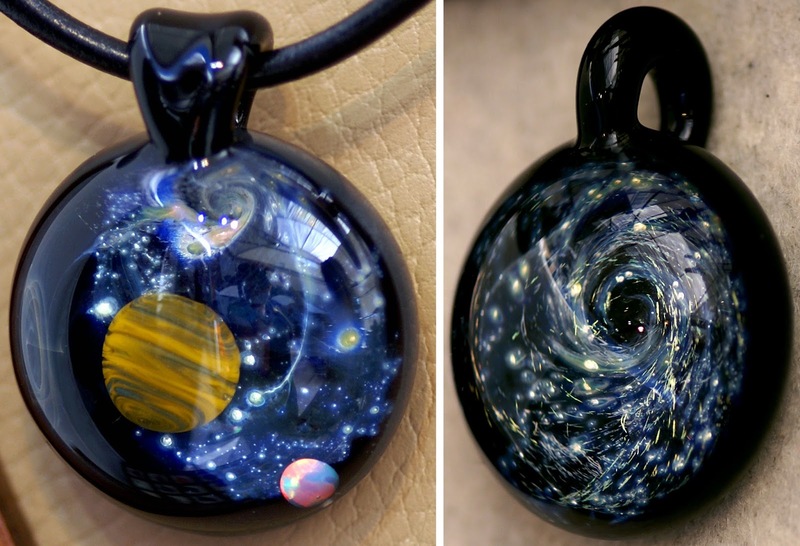 Powerful Pocket Sized Glass Work from Pendants to Mini Galaxies. Passion Poured into Every Piece with Adventures in Color & Detail. Passion is an important element in Art. 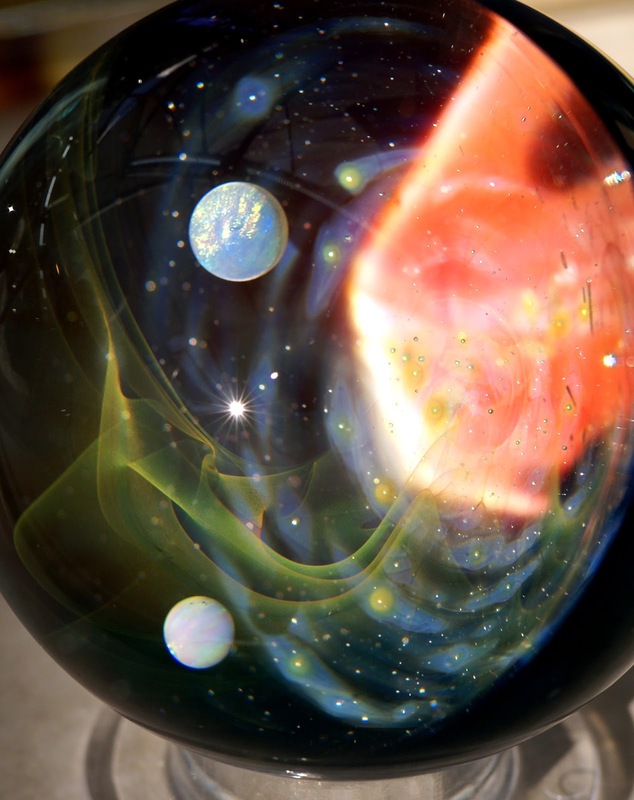 Add that to talent, persistence, vision and optimism, among other praiseworthy traits, and you get work that is out of this world like that of glass artist Eric Mort who specializes in mind blowing, space inspired pieces. One glance at a sphere or pocket galaxy by Eric, and undoubtedly your first question will be, "How did you do that?" Eric works on a small scale, composing works of art floating inside glass orbs, like painting on a canvas that you are also constructing along the way. He doesn't always know what he's going to get, but thanks to his years of practice, he's developed a style that looks magically like outer space. 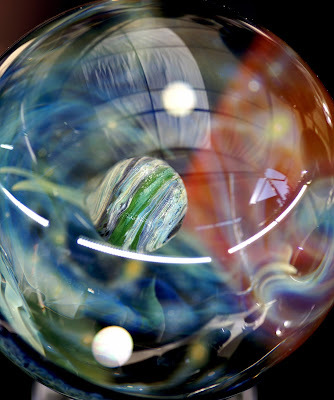 I find myself dreaming of being pulled into each piece to see each detail up close, beautifully colored and patterned planets swirled in other elements of the atmosphere, all achieved by intimate knowledge of his materials and a willingness to experiment without always knowing what the glass will do. 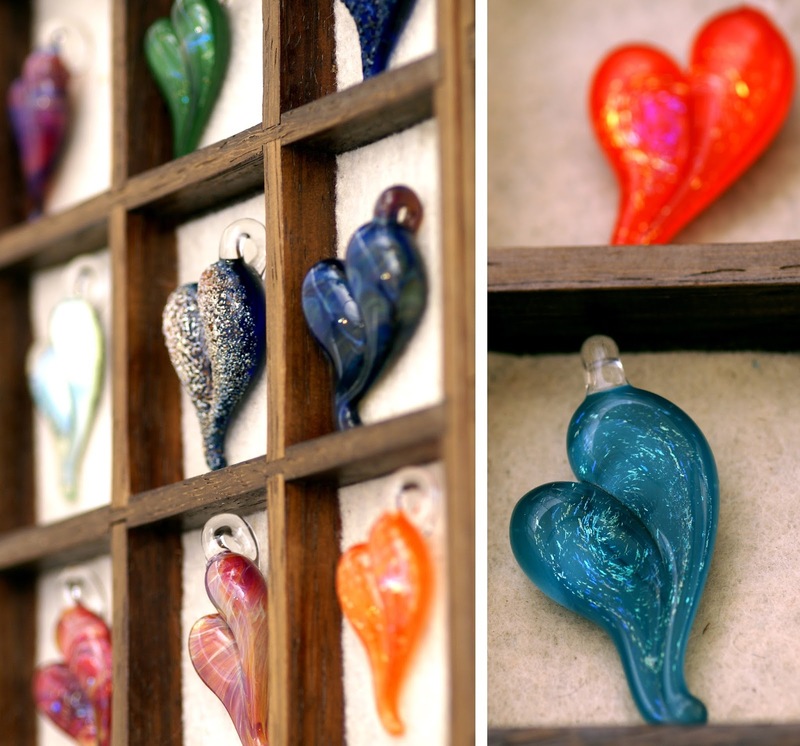 You must have a patient, steady hand to work with glass and a blowtorch. Eric started with beads as many lamp workers do; they are usually small and require less time in the flame to achieve desired shapes and patterns. From there, the scale of his pieces grew to orbs and pendants. Thanks to his experience and continued evolution, he can create such ephemeral, dreamy space-scapes inside display-worthy pieces! If you close your eyes and imagine what it would be like to hold a bit of outer space in your palm, that's what Eric's work looks like. What powerful, otherworldly talent he has!